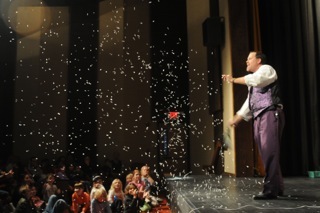 Increase Excitement and Enrollment With Summer Camp Program Magic & Illusion Show! Camp Illusion & Magic Show. Unforgettable entertainment by top NY, NJ, CT Magician & illusionist! 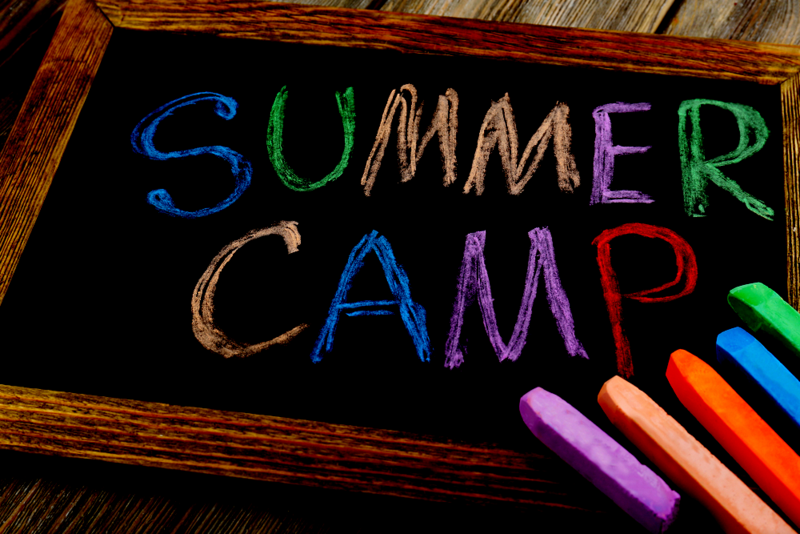 In planning Summer Camp Program Entertainment or magic workshops, you obviously want to offer unique, fun activities and thrilling special events for kids, to convince parents to send them to your camp. Wouldn’t you agree that to increase enrollment, you must make your camp program exciting with added attractions, so people will not take their time and money elsewhere? And We Have To Make It Entertaining! Lots of children’s magicians ignore this! They walk in and start right away with just a few juvenile props! To ensure this show completely captivates children’s attention, it takes as long to set up & then again take down, as it does to perform. As a result, you get the highest quality children’s magic show at a tremendous value, to build your program’s reputation! Children’s Camp Magic & Illusion Show. 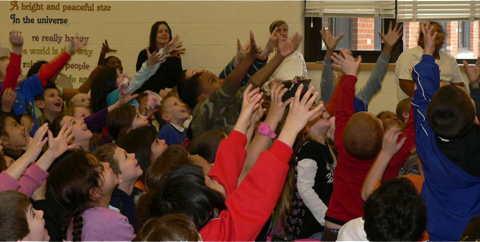 Separate Elementary & Teen Mentalism Shows Make Programs Unforgettable! 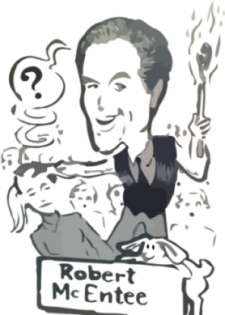 For larger audiences you want more of a children’s illusion show, so I offer several amazing larger illusion options, such as floating a child in the air, an incredible animated talking picture, sawing a councilor “in half” with a power buzz saw or making them magically appear to introduce the show! Your show can also include a spectacular grand finale with special effects such as dramatic fire eating (totally safe and I give a safety message), a confetti launch, and for indoor shows, mesmerizing lights! "Thank you for the wonderful time last night. Everyone said they really enjoyed the show! You have a tremendous gift. Thank you for sharing it with us last night!" "I want to thank you for the excellent job you did with your magic show at our camp. At our staff review everyone shared how excellent your show was, and how much the children were in awe. I appreciate your well practiced & entertaining skills..."
"The show was paced well and age appropriate for our two different groups. The children enjoyed all of the shows." "An excellent show well worth the money! Held everyone's attention!" "You did a great job - I liked the musical routines! You did a lot of different tricks within the hour - so many more than the past magician I hired! Keep up the good work and I'll call you next year! When their children come home raving about this magical performance, parents gain a wonderful impression of your facility. Thus you generate publicity and profits far exceeding the nominal cost of the show. I can even help you publicize the show by providing attractive, customized, promotional flyers at no additional charge. BECAUSE IT’S A TREMENDOUSLY FUN PROGRAM CHILDREN LOVE! PARENTS WILL THANK YOU FOR! If you’re planning Vacation Bible School Programs or other church event entertainment, you’ll be happy to know that I’m a Christian Illusionist, also offering a completely different Biblically themed show from my standard fun camp illusion shows. For church shows a Christian Magician can teach truth through illusion, and thus makes a great idea for church family entertainment. I’ve also done many programs for Jewish Camps and Temples including Orthodox groups that were were very highly received! I am so sure you that will love this program, I guarantee it! If you are not completely satisfied, you don’t pay – it’s that simple! How many other programs come with such an offer? Remember, this show has generated tremendous enthusiasm for the sponsors of countless events and organizations and will do the same for your camp! We’ll customize a great show together. I am also happy to tell you about multiple show discounts and Magic & Balloon Workshops too! Your campers will thank you!